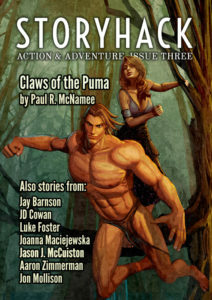 StoryHack #3 came out this week, featuring another Donovan Flint story by yours truly. 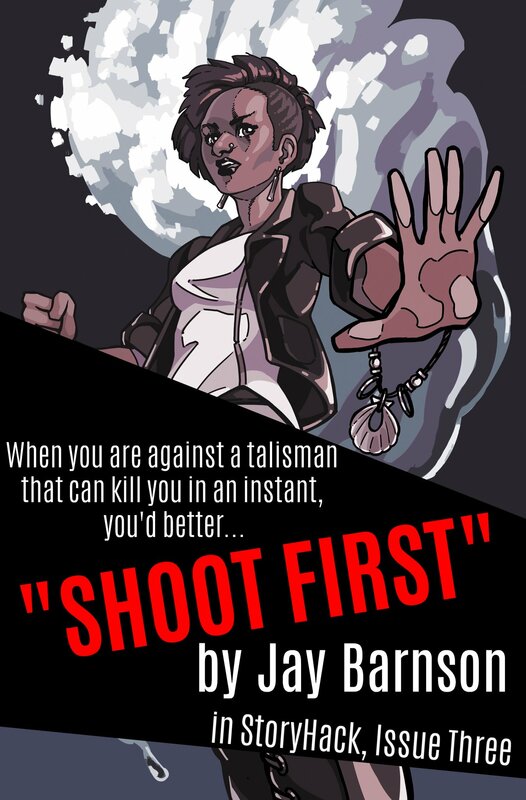 This story, entitled “Shoot First,” takes Donovan Flint and his fellow agent on a hunt for a magical artifact which can kill in a heartbeat. Of course, my story is one of many excellent stories in this issue, including an actual Jungle Adventure (taking place in Brazil instead of Africa, for a change…). How’s that for some good ol’ pulp flavor? JD Cowan and Jon Mollison are a couple of familiar names if you have been following some of the pulp-style anthologies and magazines over the last couple of years, but this issue seems to have a pretty good mix of “regulars” and fresh faces. The stories run a range from the aforementioned jungle adventure and urban fantasy, to high fantasy, SF, and crime drama. I’m reading through the stories now and enjoying them greatly. Anyway, if you pick it up, I hope you enjoy my little yarn, as well as the rest of the stories! Have fun! StoryHack #3 is available as a physical paperback here. Or, if you prefer an eBook, you can get it here.